Myschool has provided you with a JAMB Registration Template, which you can download for free, fill it with your parents, and then go to the accredited CBT Centres with it. To access the free template, please click here. C. (FREE COMPLAINT) TICKETING For ALLcomplaints on JAMB processes, candidates can create a support ticket at (support.jamb.gov.ng) with his/her email address registered on the Board’s site. The candidate then provides his/her name, phone number and the nature of issue, select a complaint area on a drop down and then summarize the nature of complaint. He/she may also attach supporting documents (if available) then send. 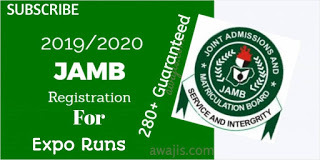 0 Response to "2019 JAMB Sales Of UTME/DE Form Begins – See Registration & Exam Details"